Fits iPad® 2 and newer. Non-scratch iPad cover. 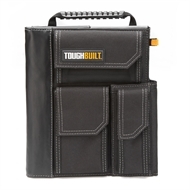 3 external quick-access accessory pockets. Top handle. Hand strap. Smart phone pocket. Business card slots. Shoulder strap compatible. 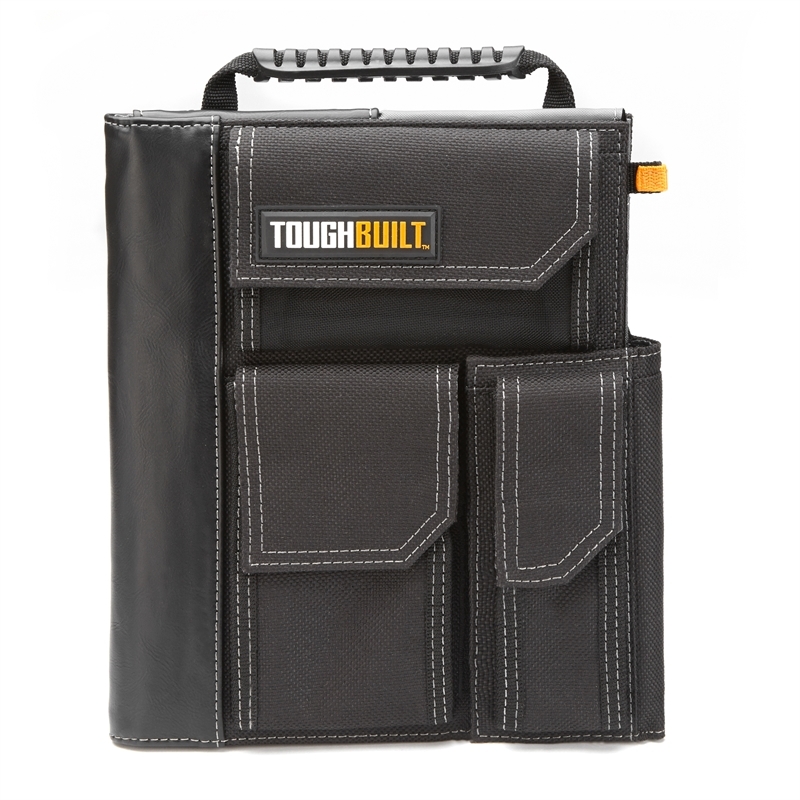 Heavy-duty construction with pocket reinforcement. 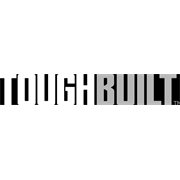 Includes ToughBuilt™ Grid Notebook.